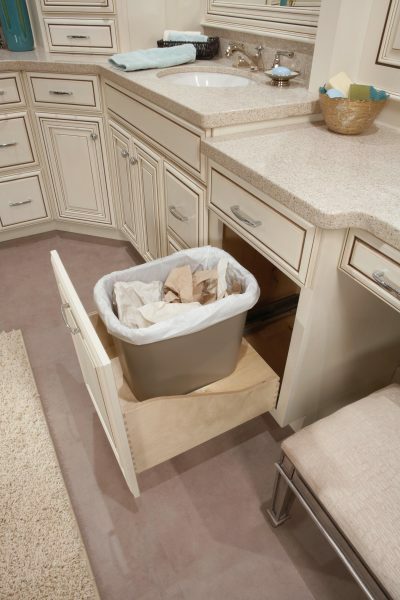 Keep the waste container out-of-sight. Includes functional top drawer, pull-out door attached to waste containment system, and fixed floor under drawer. Scooped drawer box includes plywood deck with cut-outs for waste baskets. Includes 28 qt. waste container. Height modification available; minimum 32″, maximum 48″.